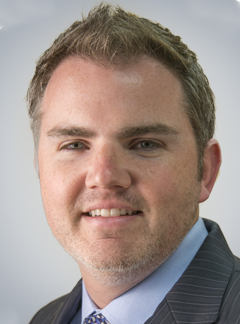 Christopher M. Blanchette, PhD, MBA is the Director of the Data Science Initiative and an Associate Professor of Public Health Sciences for the College of Health & Human Services at the University of North Carolina at Charlotte. He maintains adjunct appointments with the W.G. (Bill) Heffner VA Medical Center in Salisbury, NC as well as the Division of Pharmaceutical Outcomes and Policy with the University of North Carolina at Chapel Hill Eshelman School of Pharmacy and the Department of Pharmaceutical Marketing at the Saint Joseph’s University Erivan Haub School of Business. Dr. Blanchette’s research focuses on using Big Data to assess the clinical and economic outcomes associated with pharmaceutical use for chronic diseases. He was formerly a Principal & the Americas Leader for the Retrospective Outcomes Research Center of Excellence at IMS Health. He also directed the Division of Clinical & Outcomes Research at the Lovelace Respiratory Research Institute which included the clinical research, biostatistics and health economics programs for the institute including over 50 employees actively devoted to research in respiratory and related diseases in six sites across the US. Dr. Blanchette also served in payer marketing and health economics and outcomes research roles for GlaxoSmithKline, Otsuka America Pharmaceutical Inc., and the Premier Hospital Alliance. He completed a summer fellowship at the Agency for Healthcare Research and Quality in the Center for Quality Improvement and Patient Safety. Dr. Blanchette is a frequent peer reviewer for the Agency for Healthcare Research and Quality’s (AHRQ) Health Information Technology Research study section, the Patient-Centered Outcomes Research Institute (PCORI) and many clinical and economics journals. He is the Editor-in-Chief of Drugs in Context and a member of the editorial board for the Journal of Medical Economics and Current Medical Research and Opinion. He is a member of the International Society of Pharmacoeconomics and Outcomes Research, the International Society of Pharmacoepidemiology, the American Thoracic Society and the American Society of Clinical Oncology. Health Services Research, Epidemiology, Health Economics, Healthcare Marketing. 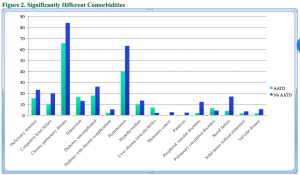 Van Doren BA, Roy D, Noone J, Blanchette CM, Arthur ST. Cachexia and debility diagnoses in hospitalized children with complex chronic conditions: evidence from the Kid’s Inpatient Database. Drugs in Context. 2015; 5: 212277. Blanchette CM, Nunes AP, Lin ND, Mortimer KM, Noone J, Tangirala K, Johnston S, Gutierrez B. Adherence to Risk Evaluation and Mitigation Strategies (REMS) requirement for monthly liver function testing. Drugs in Context. 2015; 4: 212272. 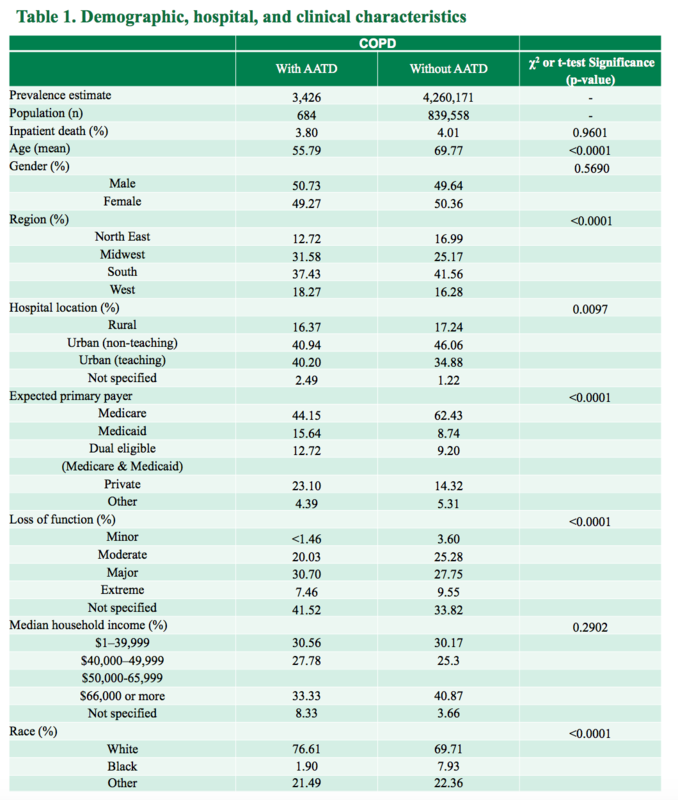 Brunelli S, Blanchette CM, Claxton A, Roy D, Rosetti S, Gutierrez B. End-stage renal disease in autosomal dominant polycystic kidney disease: a comparison of dialysis-related utilization and costs with other chronic kidney diseases. ClinicoEconomics and Outcomes Research. January 2015;7:65-72. Kharat AA, Borrego ME, Raisch DW, Roberts MM, Blanchette CM, Petersen H. Assessing Disparities in the Receipt of Inhaled Corticosteroid Prescriptions for Asthma by Hispanic and Non-Hispanic White Patients. Annals of the American Thoracic Society. 2014 Dec 4. Blanchette CM, Craver C, Belk KW, Lubeck DP, Rossetti S, Gutierrez B. Hospital-based resource utilization associated with autosomal dominant polycystic kidney disease in the US. Journal of Medical Economics. 2014 Nov 5:1-24. CM Blanchette, J Noone, D ROY, BA VAN DOREN, E Zacherle, R Howden. PREVALENCE AND BURDEN OF ALPHA-1 ANTITRYPSIN DEFICIENCY AMONG HOSPITALIZED COPD PATIENTS IN THE US. International Society for Pharmacoeconomics and Outcomes Research; Philadelphia, PA. May 18, 2015. 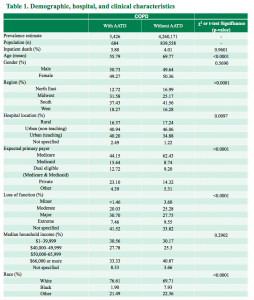 We assessed inpatients with AATD and COPD among a sample of COPD inpatients to ascertain demographic, clinical and economic differences in the course of disease and treatment.